Serve On Rescue Rookies were in action this week, helping out with water rescue training for the latest impressive batch of young people going through the Dorset and Wiltshire Fire and Rescue Service’s Salamander program. The program is aimed at empowering Wiltshire young people, especially from disadvantaged backgrounds, teaching them teamwork and support for others and giving them new life skills and the confidence that they can achieve more than they thought they could. It was the perfect environment for our Rookies to do some mentoring; to pass on some of the skills they have learnt and to practice their own support for others. 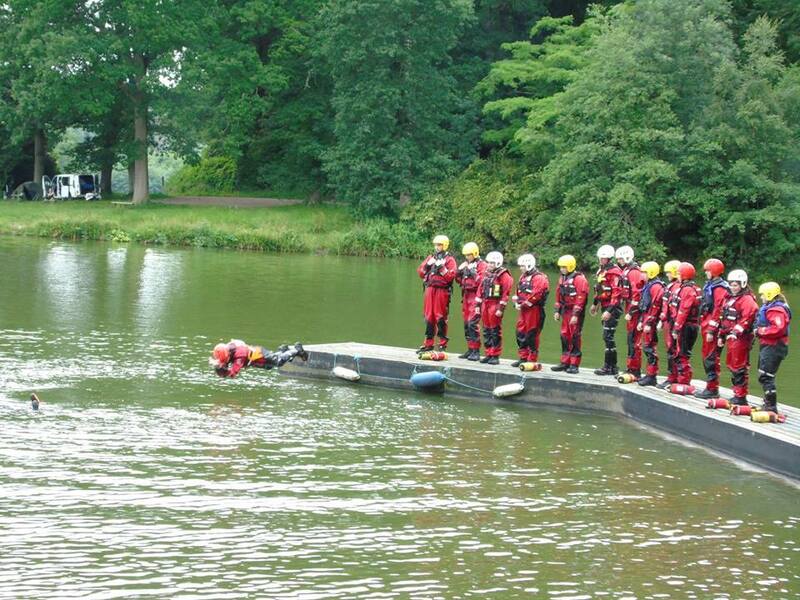 They assisted ten Salamander team members with search and rescue drills and water rescue skills at Shearwater Lake, near Longleat forest. All the young people involved impressed instructors with their camaraderie, team work, communication and respect for others. Afterwards there was time for our Rescue Rookies Matt and Ethan to brush up on a few more of their own water rescue skills. The Rescue Rookies are now working on their own campaign to recruit more teenagers to their ranks.